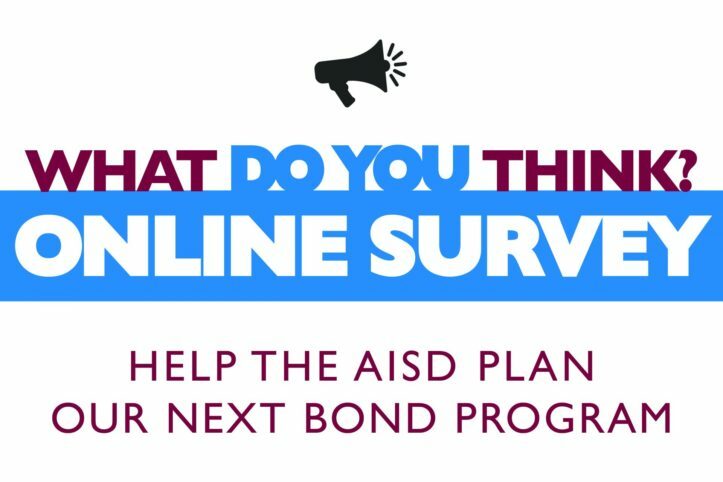 The Arlington ISD is considering a bond program to address facilities, fine arts programs, transportation, technology and security needs. Please help the district prioritize needs and make plans by taking this survey. Your input will be collected and reviewed by the AISD’s Capital Needs Steering Committee (CNSC). The CNSC is a volunteer committee comprised of community members and AISD staff charged with evaluating and prioritizing the district’s capital needs, which includes evaluation of buildings, transportation, security and more, through 2025. Through a series of meetings, community dialogues and this survey, the committee will review and analyze the district’s own capital assessment and listen to the community’s desires and concerns. In June, the committee will report its findings to the AISD Board of Trustees and potentially offer a recommendation for a bond program to fund the priorities. See the presentation from the recent community dialogue meetings.